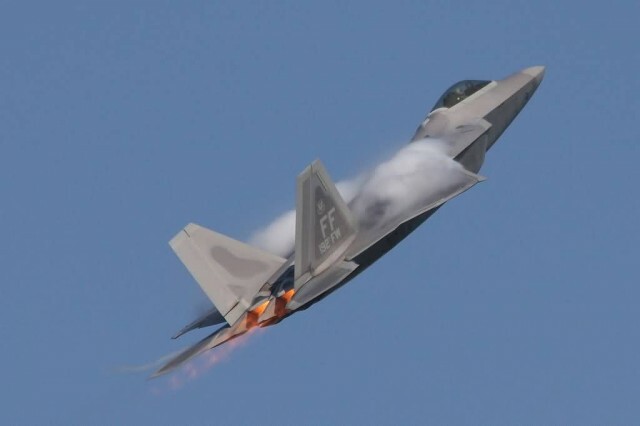 The Lockheed Martin F-22 Raptor is a single-seat, twin-engine, all weather stealth tactical fighter aircraft developed for the United States Air Force. The result of the USAF’s Advanced Tactical Fighter program, the aircraft was designed primarily as an air superiority fighter, but has additional capabilities including ground attack, electronic warfare, and signals intelligence roles. 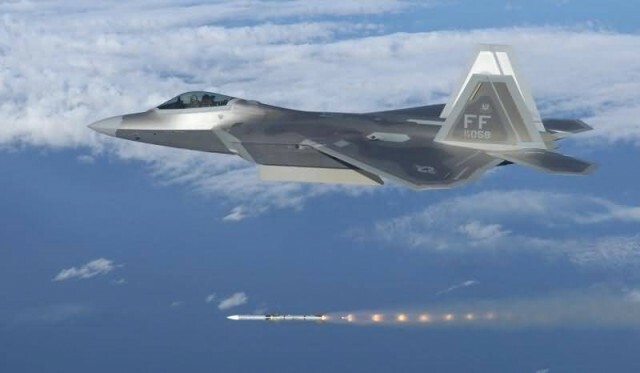 Lockheed Martin is the prime contractor and was responsible for the majority of the air frame, weapon systems, and final assembly of the F-22, while program partner Boeing provided the wings, aft fuselage, avionics integration, and training systems. 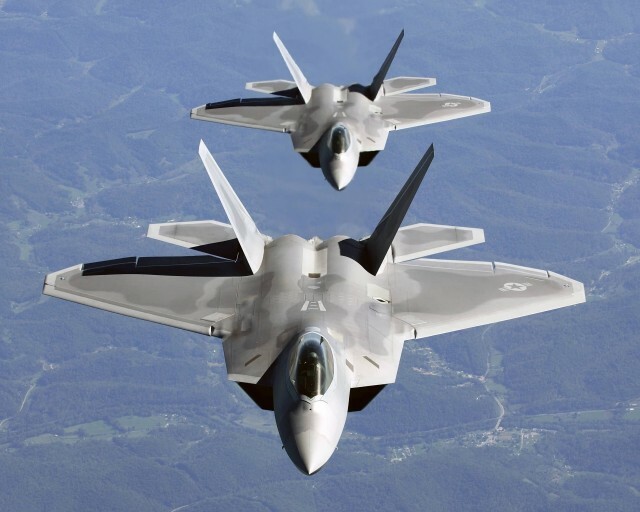 The aircraft was variously designated F-22 and F/A-22 prior to formally entering service in December 2005 as the F-22A. The Boeing F/A-18E Super Hornet and related twin-seat F/A-18F are twin-engine carrier-capable multi role fighter aircraft variants based on the McDonnell Douglas F/A-18 Hornet. The F/A-18E single-seat and F/A-18F tandem-seat variants are larger and more advanced derivatives of the F/A-18C and D Hornet. 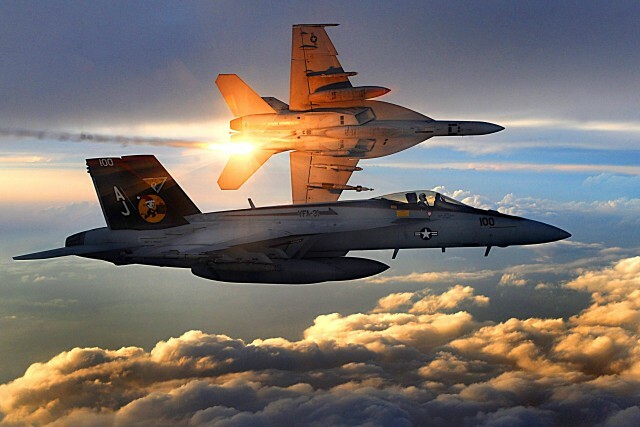 The Super Hornet has an internal 20 mm M61 rotary cannon and can carry air-to-air missiles and air-to-surface weapons. Additional fuel can be carried in up to five external fuel tanks and the aircraft can be configured as an airborne tanker by adding an external air refueling system. Designed and initially produced by McDonnell Douglas, the Super Hornet first flew in 1995. Full-rate production began in September 1997, after the merger of McDonnell Douglas and Boeing the previous month. 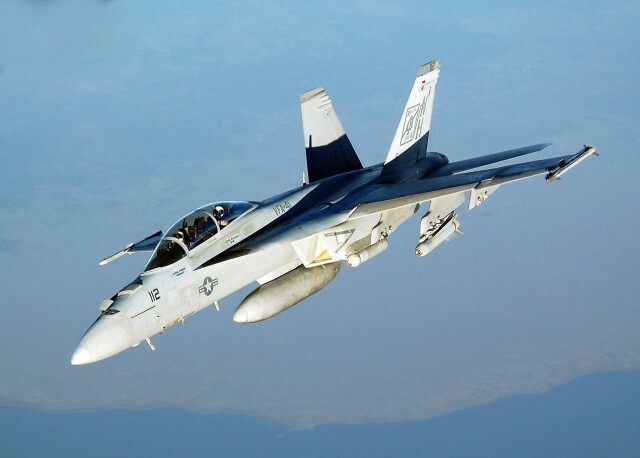 The Super Hornet entered service with the United States Navy in 1999, replacing the Grumman F-14 Tomcat, which was retired in 2006; the Super Hornet serves alongside the original Hornet. 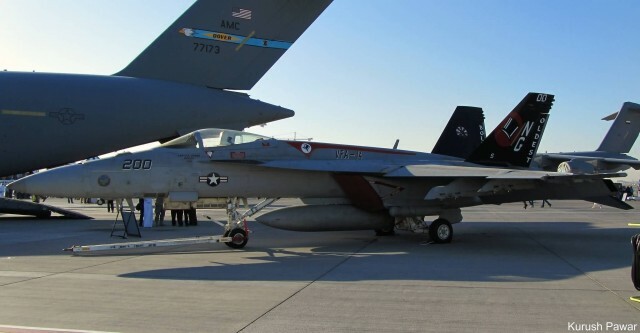 The Royal Australian Air Force, which has operated the F/A-18A as its main fighter since 1984, ordered the F/A-18F in 2007 to replace its aging F-111 fleet. RAAF Super Hornets entered service in December 2010. The Euro fighter Typhoon is a twin-engine, canard-delta wing, multi role fighter. The Typhoon was designed and is manufactured by a consortium of three companies; Alenia Aermacchi, Airbus Group and BAE Systems, who conduct the majority of affairs dealing with the project through a joint holding company, Euro fighter Jagdflugzeug GmbH, which was formed in 1986. The project is managed by the NATO Euro fighter and Tornado Management Agency, which also acts as the prime customer. Development of the aircraft effectively began in 1983 with the Future European Fighter Aircraft programme, a multinational collaborative effort between the UK, Germany, France, Italy and Spain. Because of disagreements over design authority and operational requirements, France left the consortium to develop the Dassault Rafale independently instead. 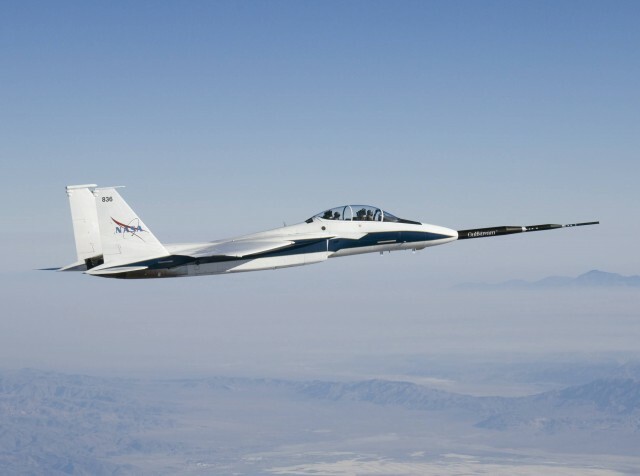 A technology demonstration aircraft, the British Aerospace EAP, first took flight on 6 August 1986; the first prototype of the finalized Euro fighter made its first flight on 27 March 1994. The name of the aircraft, Typhoon, was formally adopted in September 1998; the first production contracts were signed that same year. Political issues in the partner nations significantly protracted the Typhoon’s development; the sudden end of the Cold War reduced European demand for fighter aircraft, and there was debate over the cost and work share of the Euro fighter. The Typhoon was introduced into operational service in 2003. Currently, the type has entered service with the Austrian Air Force, the Italian Air Force, the German Air Force, the Royal Air Force, the Spanish Air Force, and the Royal Saudi Air Force. 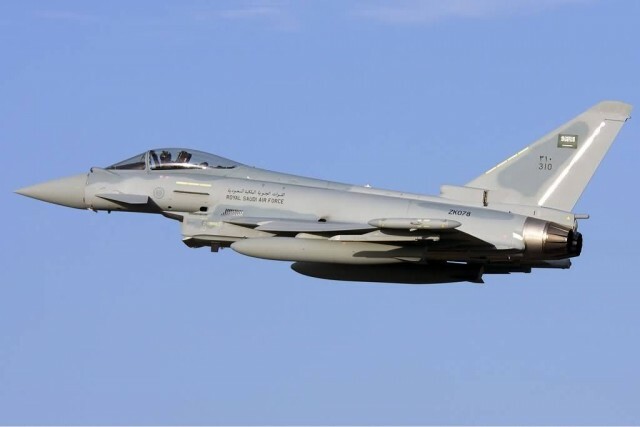 The Royal Air Force of Oman has also been confirmed as an export customer, bringing the procurement total to 571 aircraft as of 2013. The Euro fighter Typhoon is a highly agile aircraft, designed to be an effective dog fighter when in combat with other aircraft; later production aircraft have been increasingly better equipped to undertake air-to-surface strike missions and to be compatible with a likewise increasing number of different armaments and equipment. 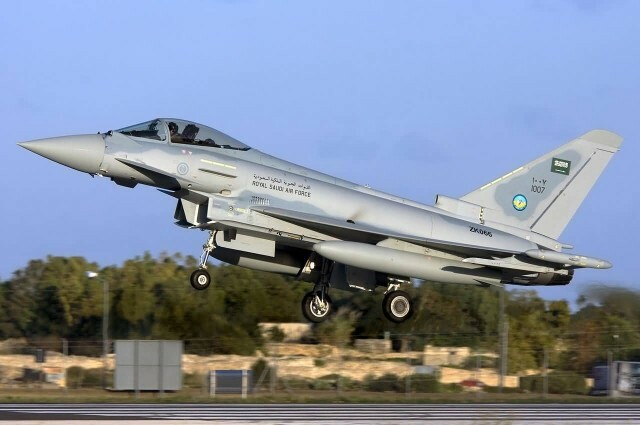 The Typhoon saw its combat debut during the 2011 military intervention in Libya with the Royal Air Force and the Italian Air Force, performing aerial reconnaissance and ground strike missions. The type has also taken primary responsibility for air-defence duties for the majority of customer nations. The Dassault Rafale is a French twin-engine, canard delta wing, multi role fighter aircraft designed and built by Dassault Aviation. Equipped with a wide range of weapons, the Rafale is intended to perform air supremacy, interdiction, aerial reconnaissance, and nuclear strike missions. In the late 1970s, the French Air Force and Navy were seeking to replace and consolidate their current fleets of aircraft. In order to reduce development costs and boost prospective sales, France entered into an arrangement with four other European nations to produce an agile multi-purpose fighter. Subsequent disagreements over work share and differing requirements led to France’s pursuit of its own development program. Dassault built a technology demonstrator which first flew in July 1986 as part of an eight-year flight-test programme, paving the way for the go-ahead of the project. 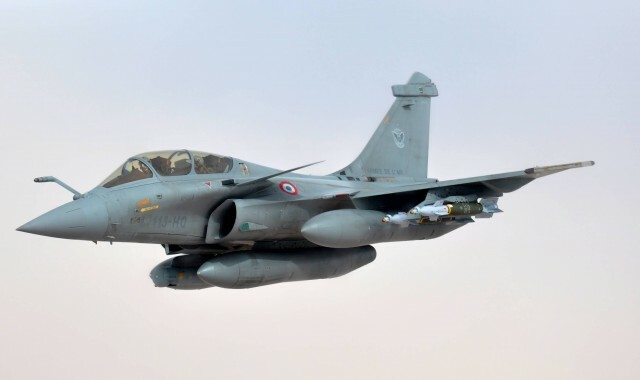 The Rafale is distinct from other European fighters of its era in that it is almost entirely built by one country, involving most of France’s major defence contractors, such as Dassault, Thales and Safran. Many of the aircraft’s avionics and features, such as direct voice input, the RBE2 AA active electronically scanned array radar and the Optronique secteur frontal infra-red search and track sensor, were domestically developed and produced for the Rafale programme. 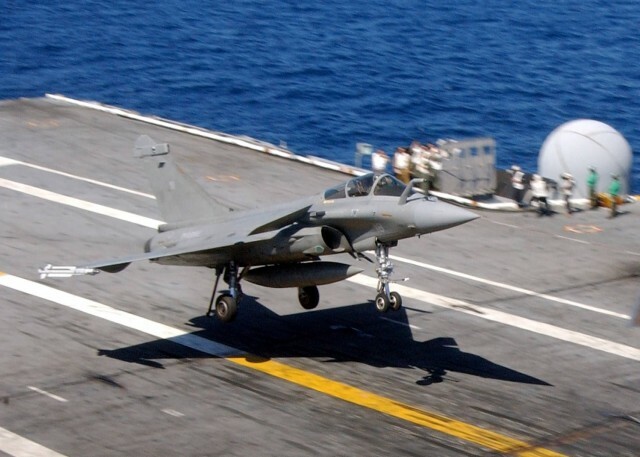 Originally scheduled to enter service in 1996, the Rafale suffered significant delays due to post-Cold War budget cuts and changes in priorities. The aircraft is available in three variants: Rafale C single-seat land-based version, Rafale B twin-seat land-based version, and Rafale M single-seat carrier-based version. Introduced in 2001, the Rafale is being produced for both the French Air Force and for carrier-based operations in the French Navy. 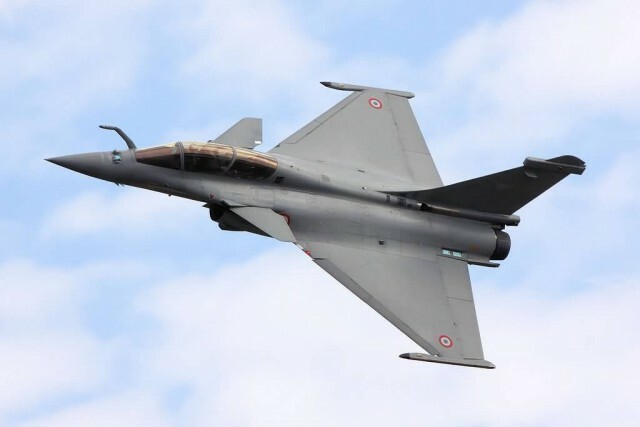 The Rafale has been marketed for export to several countries, and it has been selected for purchase by the Indian Air Force, the Egyptian Air Force, and the Qatar Air Force. The Rafale has been used in combat over Afghanistan, Libya, Mali and Iraq. Several upgrades to the weapons and avionics of the Rafale are planned to be introduced by 2018. The Sukhoi Su-35 is a designation for two separate, heavily upgraded derivatives of the Su-27 ‘Flanker’. They are single-seat, twin-engine, supermaneuverable multi role fighters, designed by Sukhoi and built by Komsomolsk-on-Amur Aircraft Production Association. The Su-35 is also known as Super Flanker. 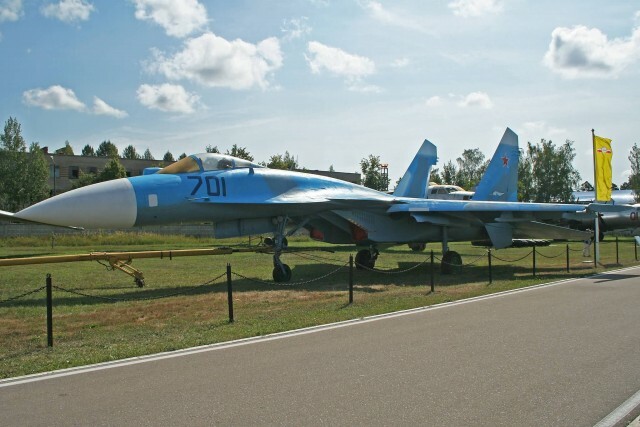 The first variant was designed during the 1980s, when Sukhoi was seeking to upgrade its high-performance Su-27, and was initially known as the Su-27M. Later re-designated Su-35, this derivative incorporated aerodynamic refinements to increase manoeuvrability, enhanced avionics, longer range, and more powerful engines. The first Su-35 prototype, converted from a Su-27, made its maiden flight in June 1988. More than a dozen of these were built, some of which were used by the Russian Knights aerobatic demonstration team. The first Su-35 design was later modified into the Su-37, which possessed thrust vectoring engines and was used as a technology demonstrator. A sole Su-35UB two-seat trainer was built in the late 1990s that strongly resembled the Su-30MK family. 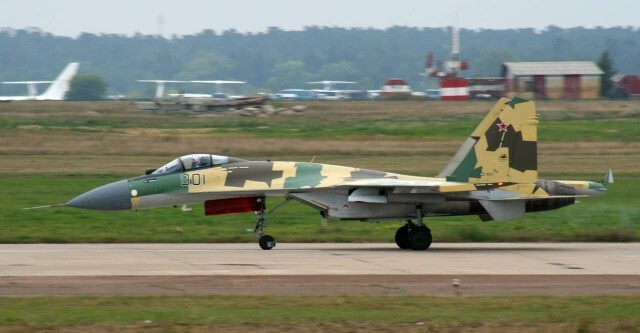 In 2003, Sukhoi embarked on a second modernization of the Su-27 to produce what the company calls a 4++ generation fighter that would bridge the gap between legacy fighters and the upcoming fifth generation Sukhoi PAK FA. This derivative, while omitting the canards and air brake, incorporates a reinforced air frame, improved avionics and radar, thrust-vectoring engines, and a reduced frontal radar signature. 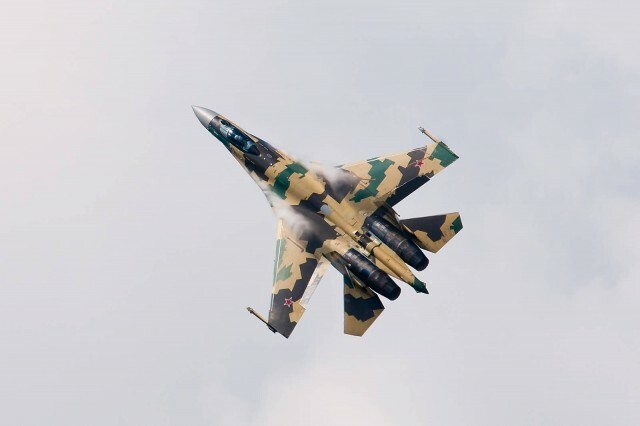 In 2008 the revamped variant, erroneously named the Su-35BM in the media, began its flight test programme that would involve four prototypes, one of which was lost in 2009. The Russian Air Force has ordered 48 production units, designated Su-35S, of the newly revamped Su-35. Both Su-35 models marketed to many countries, including Brazil, China, India, Indonesia, and South Korea, but so far have not attracted any export orders. Sukhoi originally projected that it would export more than 160 units of the second modernized Su-35 worldwide. The McDonnell Douglas F-15 Eagle is an American twin-engine, all-weather tactical fighter designed by McDonnell Douglas to gain and maintain air superiority in aerial combat. It is among the most successful modern fighters, with over 100 aerial combat victories. Following reviews of proposals, the United States Air Force selected McDonnell Douglas’ design in 1967 to meet the service’s need for a dedicated air superiority fighter. The Eagle first flew in July 1972, and entered service in 1976. The Eagle has since been exported to Israel, Japan, and Saudi Arabia, among other nations. The F-15 was originally envisioned as a pure air superiority aircraft. Its design included a secondary ground-attack capability that was largely unused. The design proved flexible enough that an all-weather strike derivative, the F-15E Strike Eagle, was later developed, entering service in 1989. 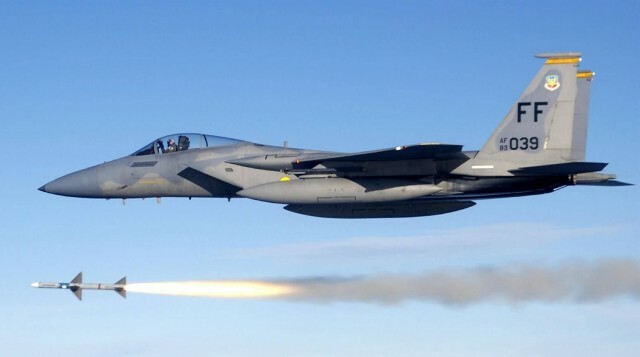 The F-15 Eagle is expected to be in service with the U.S. Air Force past 2025. Newer models are still being produced for foreign users. The F-15 production line is set to end in 2019, 47 years after the type’s first flight. The Mikoyan MiG-31 is a supersonic interceptor aircraft developed for the uses of the Soviet Air Forces. 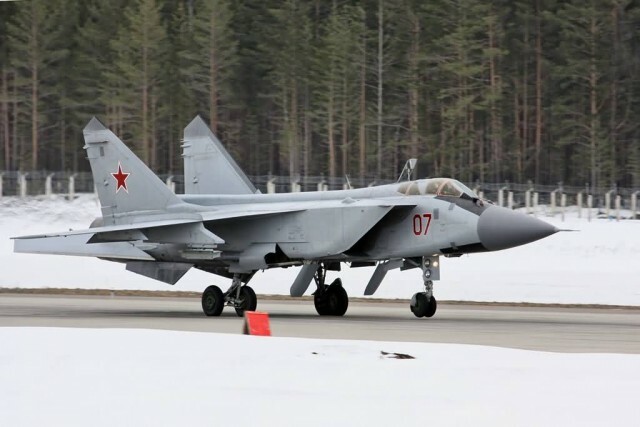 The aircraft was designed by the Mikoyan design bureau as a replacement for the earlier MiG-25 “Foxbat”; the MiG-31 is based on, and shares design elements with, the MiG-25 itself. The MiG-31 has the distinction of being one of the fastest combat jets in the world. 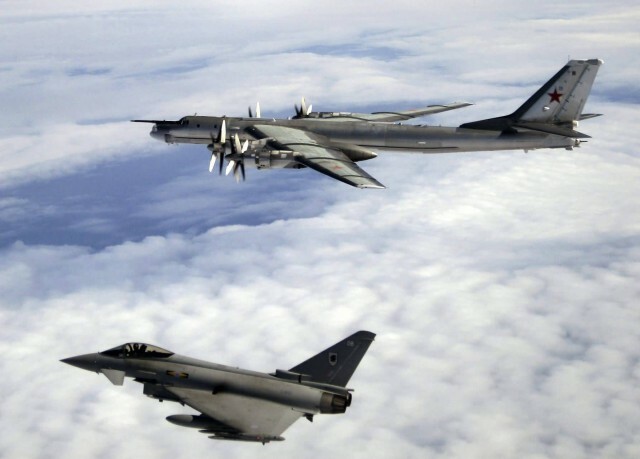 It continued to be operated by the Russian Air Force and the Kazakhstan Air Force following the end of the Cold War and the collapse of the Soviet Union in the early 1990s. 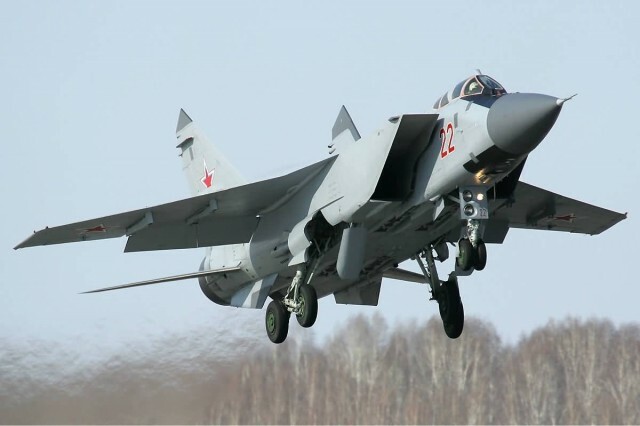 The Russian Defense Ministry expects the MiG-31 to remain in service until at least 2030. 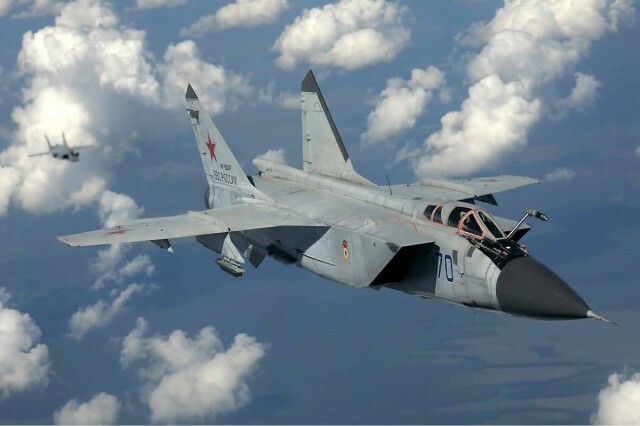 Like the MiG-25, MiG-31 is a large twin-engine aircraft with side-mounted air intake ramps, a shoulder-mounted wing with an aspect ratio of 2.94, and twin vertical tailfins. Unlike the MiG-25, it has two seats, with the rear occupied by a dedicated weapon systems officer. The MiG-31 is limited to only 5 g when traveling at supersonic speeds. While flying under combat weight, its wing loading is marginal and its thrust-to-weight ratio is favorable. However, the MiG-31 is not designed for close combat or rapid turning. The wings and air frame of the MiG-31 are stronger than those of the MiG-25, permitting supersonic flight at low altitudes. Its D30-F6 jet engines, each rated at 152 kN thrust, allow a maximum speed of Mach 1.23 at low altitude. High-altitude speed is temperature-red lined to Mach 2.83 – the thrust-to-drag ratio is sufficient for speeds in excess of Mach 3, but such speeds pose unacceptable hazards to engine and air frame life in routine use. The General Dynamics F-16 Fighting Falcon is a single-engine multi role fighter aircraft originally developed by General Dynamics for the United States Air Force. Designed as an air superiority day fighter, it evolved into a successful all-weather multi role aircraft. Over 4,500 aircraft have been built since production was approved in 1976. Although no longer being purchased by the U.S. Air Force, improved versions are still being built for export customers. In 1993, General Dynamics sold its aircraft manufacturing business to the Lockheed Corporation, which in turn became part of Lockheed Martin after a 1995 merger with Martin Marietta. 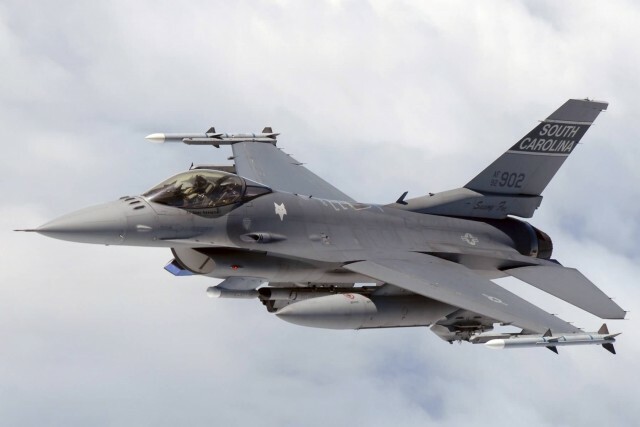 The Fighting Falcon has key features including a frame less bubble canopy for better visibility, side-mounted control stick to ease control while maneuvering, a seat reclined 30 degrees to reduce the effect of g-forces on the pilot, and the first use of a relaxed static stability/fly-by-wire flight control system helps to make it a nimble aircraft. The F-16 has an internal M61 Vulcan cannon and 11 locations for mounting weapons and other mission equipment. 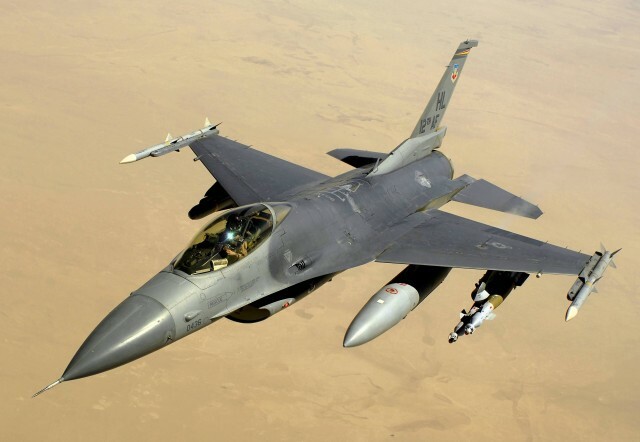 The F-16’s official name is “Fighting Falcon”, but “Viper” is commonly used by its pilots, due to a perceived resemblance to a viper snake as well as the Battle star Galactica Colonial Viper star fighter. 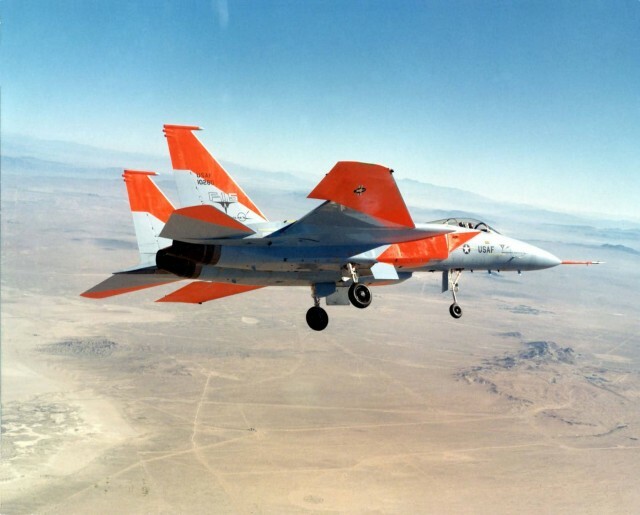 In addition to active duty U.S. Air Force, Air Force Reserve Command, and Air National Guard units, the aircraft is also used by the USAF aerial demonstration team, the U.S. Air Force Thunder birds, and as an adversary/aggressor aircraft by the United States Navy. 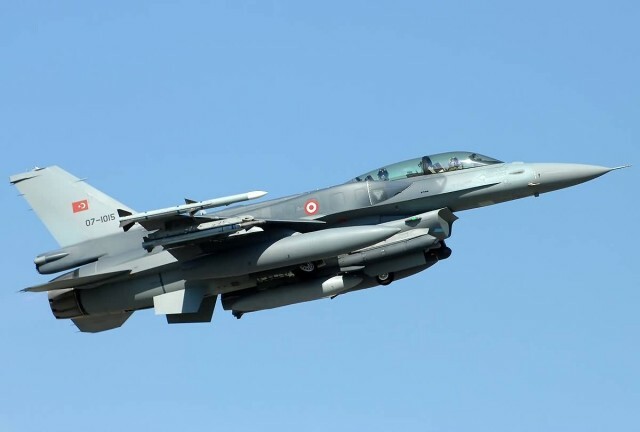 The F-16 has also been procured to serve in the air forces of 25 other nations. The Saab JAS 39 Gripen is a light single-engine multi role fighter aircraft manufactured by the Swedish aerospace company Saab. It was designed to replace the Saab 35 Draken and 37 Viggen in the Swedish Air Force. The Gripen has a delta wing and canard configuration with relaxed stability design and fly-by-wire flight controls. It is powered by the Volvo RM12, and has a top speed of Mach 2. Later aircraft are modified for NATO inter operability standards and to undertake in-flight refueling. In 1979, the Swedish government began development studies for an aircraft capable of fighter, attack and reconnaissance missions to replace the Saab 35 Draken and 37 Viggen. A new design from Saab was selected and developed as the JAS 39, first flying in 1988. 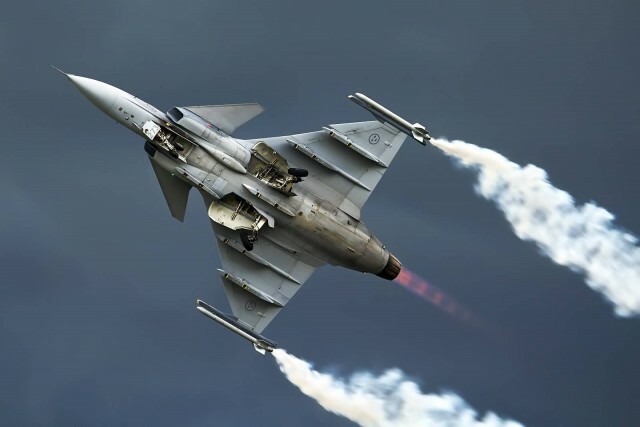 Following two crashes during flight development and subsequent alterations to the aircraft’s flight control software, the Gripen entered service with the Swedish Air Force in 1997. Upgraded variants, featuring more advanced avionics and adaptations for longer mission times, began entering service in 2003. In order to market the aircraft to export customers, Saab has formed several partnerships and collaborative efforts with multiple overseas aerospace companies. 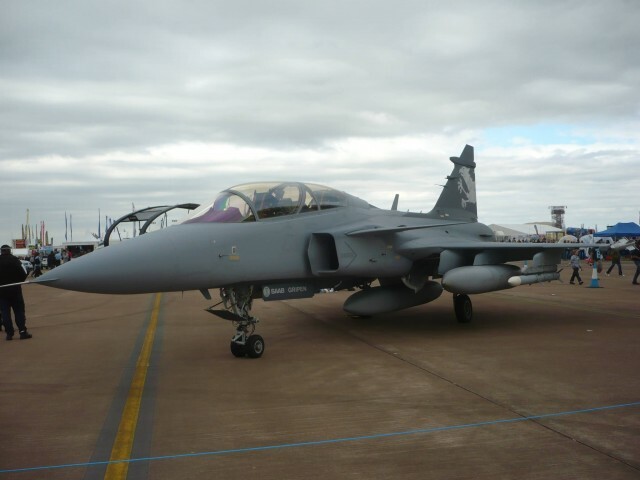 One example of such efforts was Gripen International, a joint partnership between Saab and BAE Systems formed in 2001. Gripen International was responsible for marketing the aircraft, and was heavily involved in the successful export of the type to South Africa; the organization was later dissolved amidst allegations of bribery being employed to secure foreign interest and sales. On the export market, the Gripen has achieved moderate success in sales to nations in Central Europe, South Africa and Southeast Asia; bribes have been reportedly involved in some of these procurements. A further version, designated Gripen JAS 39E/F, is under development as of 2014; it has been referred to as Gripen NG or Super-JAS. The changes include the adoption of a new power plant, the General Electric F414G, an active electronically scanned array radar, and significantly increased internal fuel capacity. 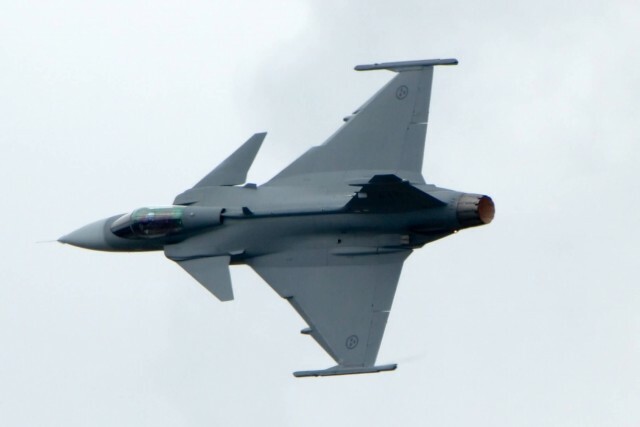 Saab has proposed other derivatives, including a navalised Sea Gripen for carrier operations and an optionally-manned aircraft for unmanned operations. Sweden and Brazil have ordered the Gripen E/F and Switzerland initially selected it for procurement. As of 2013, more than 247 Gripens have been built. 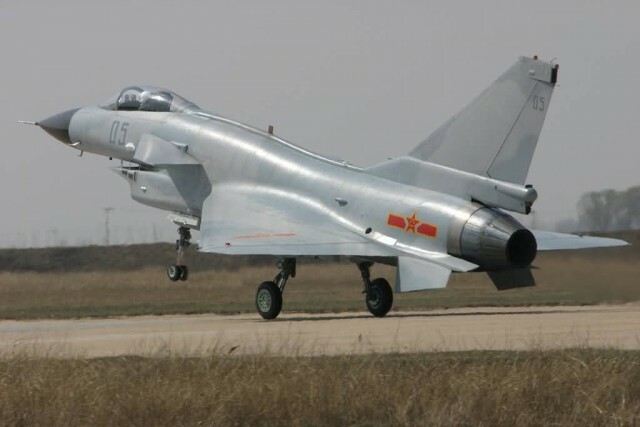 The Chengdu J-10 is a multi role fighter aircraft designed and produced by the People’s Republic of China’s Chengdu Aircraft Corporation for the People’s Liberation Army Air Force. The J-10 is a multi role combat aircraft capable of all-weather operation. Currently, the Pakistan Air Force is the only export contractor for the J-10. In 2015, China Military Online published an analysis advocating Argentina’s adoption of the J-10, claiming that while the operational range of current versions could not yet allow it to reach the Falkland Islands, the aircraft, particularly its radar, were superior to the Typhoon and that tanker aircraft could place the islands within range. 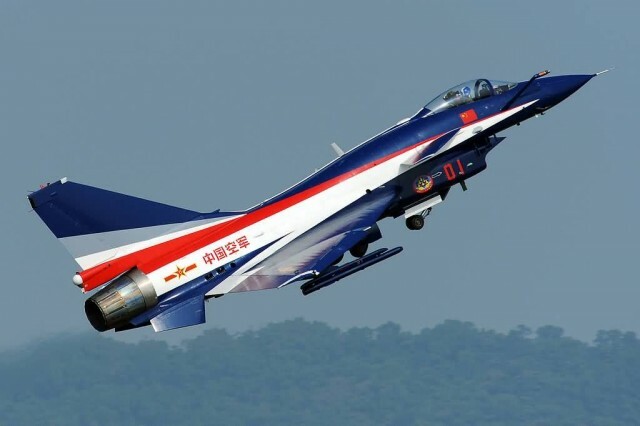 China has been promoting the J-10 to the Argentine republic and during a February 2015 visit to China by President Kirchner established a joint fighter aircraft working group.